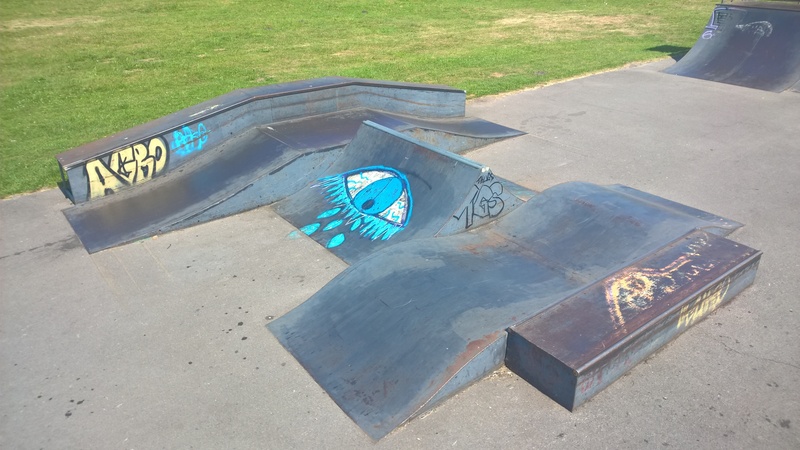 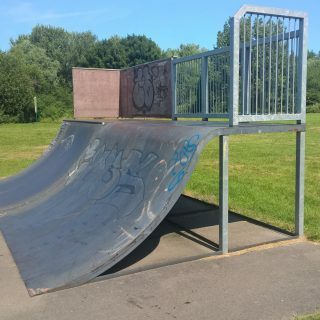 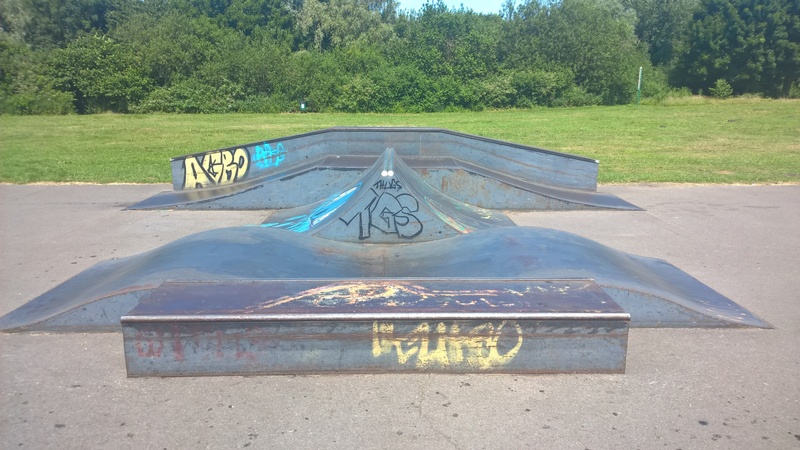 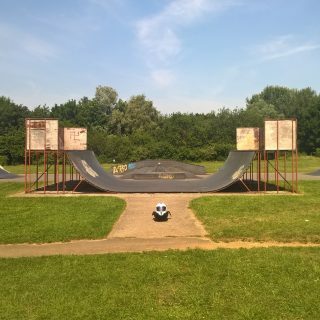 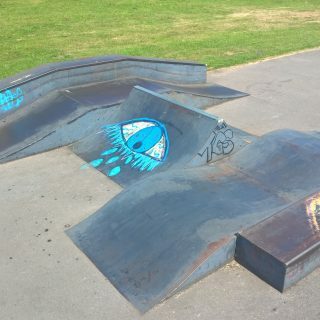 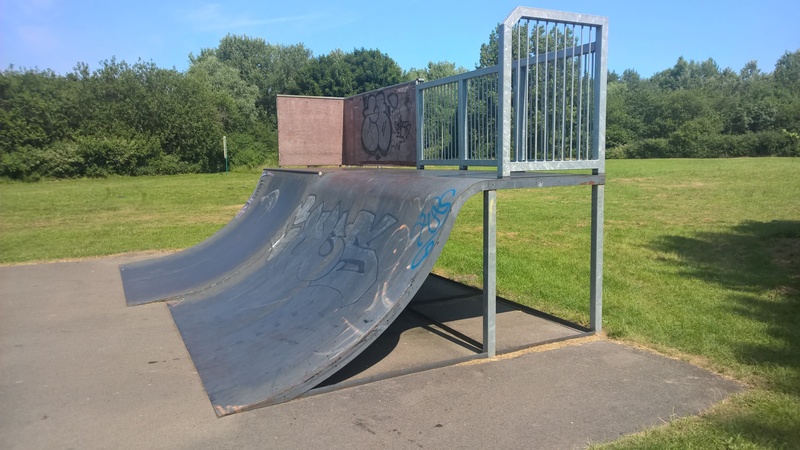 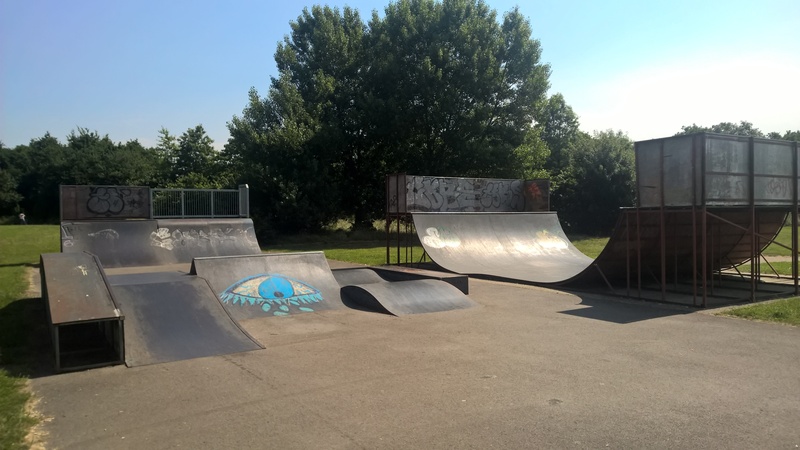 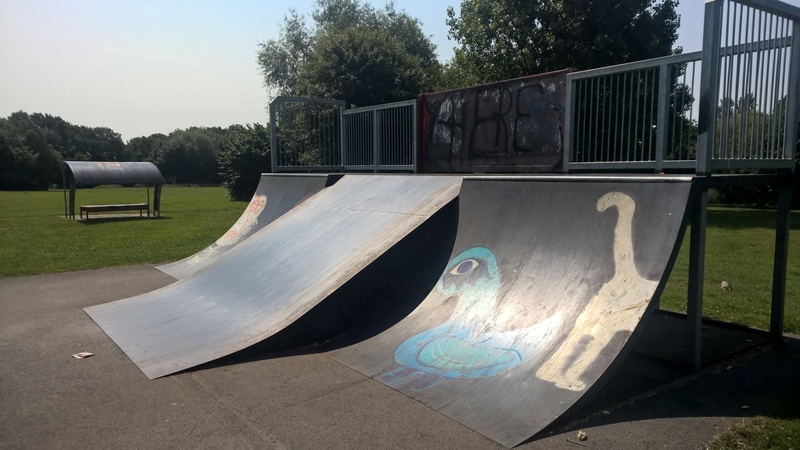 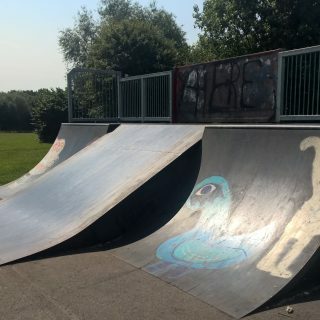 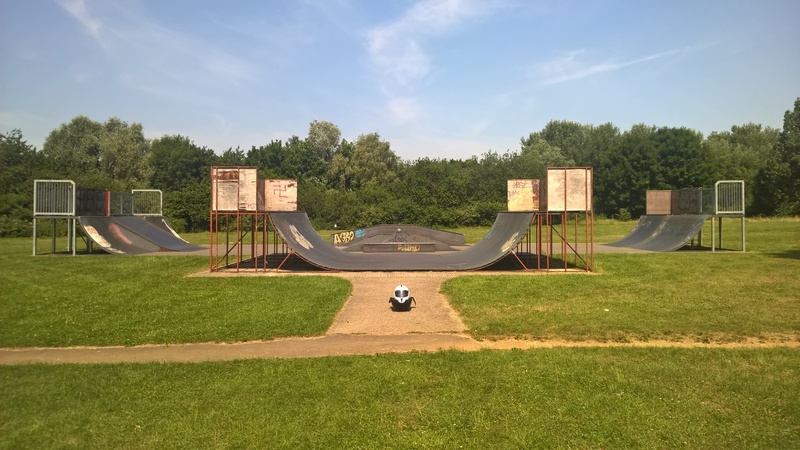 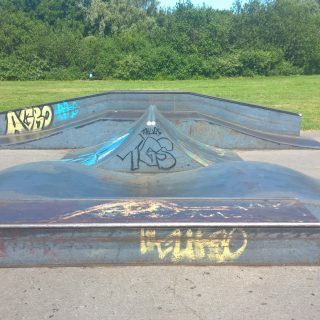 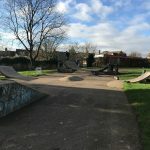 Camberley Crabtree Park Skatepark is made up of metal ramps on a tarmac base. 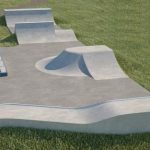 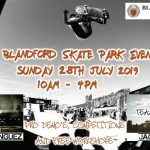 It features a back and forth run with a quarter pipe and flat bank either side of a funbox, as well as a mini ramp. 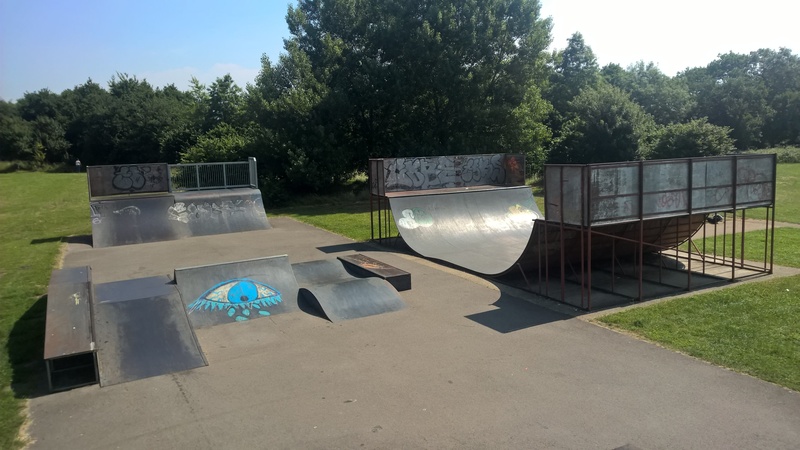 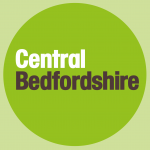 The park re-launched in April 2014 following a £25,000 revamp, although users have commented that it now needs a little more TLC.